Flare Media specialise in high quality professional property photography, for homes, apartments, commercial & industrial properties. We service the Tweed Coast, Northern NSW and the Gold Coast. Clare Smith is the principal photographer and has over 10 years experience as a property and commercial photographer. with a background in marketing, she blends creativity with impeccable attention to detail, resulting in images that always impress. Other services include Floor Plan and Site Plans (we measure on site and deliver quality coloured and textured plans to drive more traffic to your property) Drone Photography and Elevated Pole Photography, Virtual Staging and Image Decluttering. Hi Im Tim Casagrande I'm a huge fan of shooting architecture. I grew up in the hills of Northern NSW and after spending many years in cities near and far my family and I now call the southern end of the Gold Coast home. Architectural and interiors photographer specialising in high-end residential and commercial projects. I shoot with a signature style with the aim of helping my client's work stand out. Our vision is to visually communicate the value of quality design in the built environment. We are motivated to provide consistently high quality imagery to assist creative professionals promote their services, showcase their projects and present their designs for consideration at local, state and national industry awards. 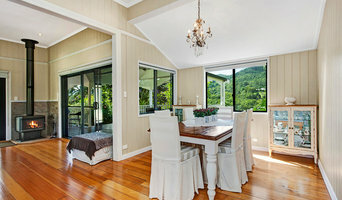 Jamie Auld Photography (also Gold Coast Property Photography) specialises in Interiors and Architectural photography with the main focus being on creating the most beautiful photos possible for your spaces. By using special techniques to avoid harsh light and "flash burning" on objects such as fans and furniture, each image is carefully lit and edited personally to the most natural looking final image possible. With clients spanning from high end Designer and Developer sessions (Jamie Auld Photography) to Real Estate (Gold Coast Property Photography), all images are captured to the highest quality to make the most of each composition. Image Flair Photography is a customer service oriented photography business dedicated to creating images that sell homes for the Real Estate Industry I will answer the phone personally. You only get voice mail if I am in a meeting or shooting a home for a client and I will return your call ASAP. •Image Flair Photography is a family owned & operated locally based covering the Northern Gold coast and Brisbane South-side areas •You get honest pricing. No sales gimmicks, no hidden costs. •Every job I perform come’s with an ironclad, risk free guarantee. If you are not happy with my work, I’ll re-shoot or re-edit the photos for free. •Best Quality Service - To endeavor to help make every home that I photograph sell for the highest possible price. •Professionalism – I will deliver my service on time and arrive on site in an easily identifiable Image Flair Photography vehicle and wear identifying shirt •Satisfaction - The job is not complete until you are satisfied. •Delivery of your Images of the property on the morning of the following working day. With a link to a download, Exempting images that are edited for Daylight to Twilight conversion or Virtual Staging Real estate photography is a proven way to improve your marketing profile if you want to stand out from the competition. Now day’s 92% of buyers use the internet to look for a property, 83% of buyers consider photos an important piece of marketing information, home-buyers spend 60% of the time viewing photographs of the homes and 20% on the Real Estate Agents property description. So professional photography is a safe and effective way of obtaining guaranteed results. By using Image Flair Photography you can instantly create a better presentation of a property and a proven safe and effective increase of the look of your online business appearance by simultaneously improved marketing of your listings and your business. 3DViz is a leading supplier of high-end 3D Visuals for Architecture and Product design. We are 100% Australian owned and all our work is produced in our Australian studio by our in-house multidisciplinary design team. We strive to offer a friendly and courteous experience and our company has amassed an extensive porfolio of work from the strong alliances we've formed with our valued clients. ROBERT MCKELLAR is a passionate photographer with an exceptional eye for detail. He has been working in the industry for more than 20 years with experience in photographic mediums, video and drones. Specialising in advertising, commercial, architectural and interiors, Rob also works with advertising, graphic design, web production and personal clients. Visit our website for more samples and info. 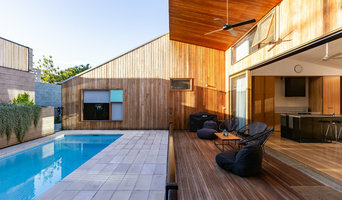 Experienced Architectural and Interiors photographer recently moved to Northern Rivers from Sydney. I have been shooting for Architects, Interior designers and high end builders for nearly 20 years. I can service Sydney, Brisbane and Gold Coast region with no travel cost. My aim is to not only convey the design and emotional feel of manmade spaces but also create art. Revealing the beauty of line, form, texture and light. I shoot all aspects of the built environment, including houses, boats, factories, offices and retail spaces. I also can offer Drone photography for alternative and dramatic perspective. Before you call any potential photographers, make sure they have good references. Friends who've sold or rented homes before are great resources, as are local real estate agents. Look through each New South Wales photographer's online portfolio to make sure what you're looking for is being offered. Once you've done that, it's a good idea to walk around your home and write down exactly how many and what types of shots you'll need. Include any specifications you might have, such as angles, things to consider about your home’s Fingal Head, New South Wales site, the time of day you think will be best and aspects of your home you want to highlight. Find a home photographer on Houzz. Narrow your search in the Professionals section of the website to Fingal Head, New South Wales photographers. You can also look through Fingal Head, New South Wales photos by style to find a room you like, then contact the professional who photographed it.